Thanks to the mysterious world wide web, Marissa Nadler actually listened to our cover of her track “Silvia” off her 2007 record, “Songs III: Bird on the Water“. She even liked it. @VowsMusic Hi guys! I really like this cover of Sylvia ! 🙂 Thanks for sending it. Reminds me a little of the Magnetic Fields. Really cool! Hello world. We are happy to share these couple of covers that we’ve had on the back-burners for a while now. Have a glorious day. 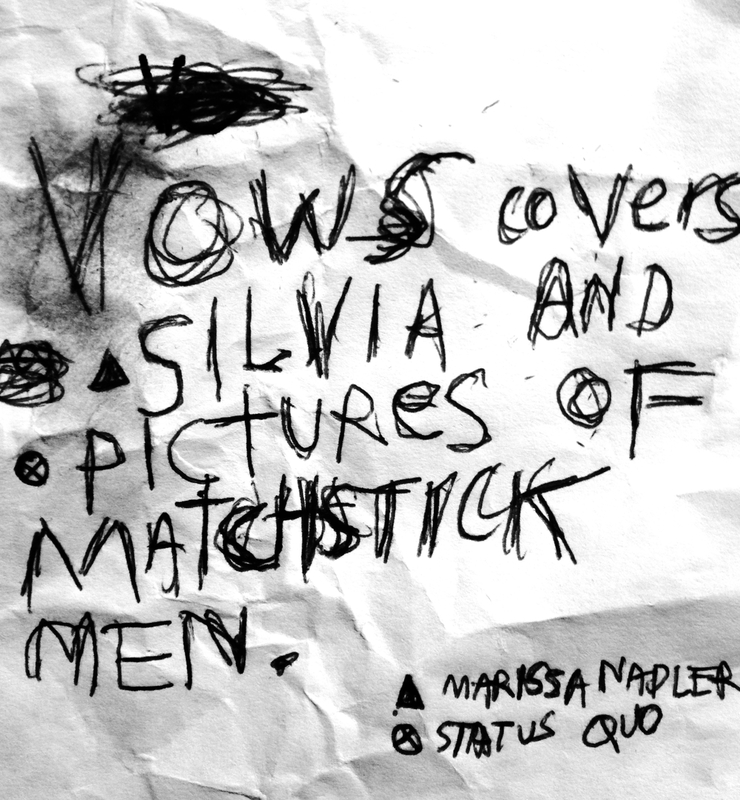 Silvia by Marissa Nadler & Pictures of Matchstick Men by Status Quo.